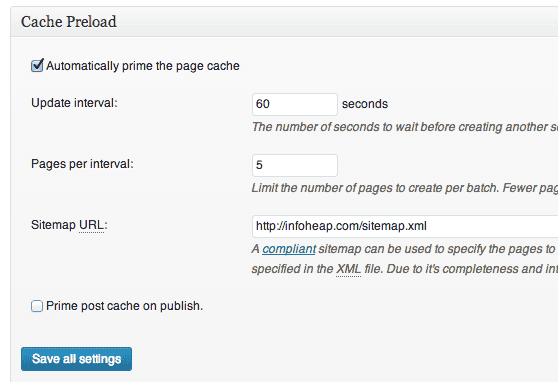 W3 total cache by Frederick Townes is probably the best wordpress cache plugin. Setting it up for best outcome can take sometime. But once you get a hang of it, you will find it awesome. The plugin install object-cache.php, db.php and advanced-cache.php in wp-content directory. It expects you to make wp-content directory writable temporarily for installation. wp-content/cache is used to store the cached data. The plugin also has support for memcached. I think its best to install memcached server for best outcome of the plugin. 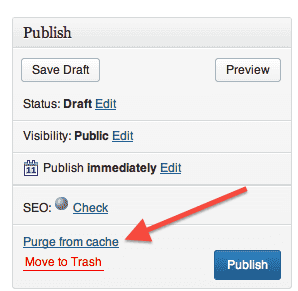 To install w3 total cache plugin no other similar caching plugin should be present. The plugin lets you use disk, opcode or memcache for caching purpose. If number of blogs on your site is not too high (probably < 1000), its best to use memory based cache like memcache. I got awesome results with memcache. I’m using memcached server with 64MB memory for cache on AWS Ubuntu micro instance. I’m seeing server side page latency close to 20-50 milliseconds. Earlier it used to be ~300 milliseconds. Note that this is server side latency and does not include network latency time, rendering time, etc. Page gets cached on first hit. This is good enough if your site has lots of traffic. Only the first user faces high latency within cache valid period. But its best to use cache preload feature of the plugin. The plugin lets you specify an update interval and pages per interval. It takes all the urls in sitemap sorted by priority and processes them in batch. Its best to keep a small batch spread out throughout the day instead of loading in burst. I’m running cron every minute. You can reduce the frequency of the cron as per your need. I kept it high as I wanted to load a small set of entries every minute (5 entries per minute in above configuration) instead of loading a large number of entries after larger interval. This can be pretty handy if you need to execute some dynamic code e.g. displaying current time or something based client IP adress, etc. Also note that file_to_include.php should be independent code and should not depend on some plugin code etc. Otherwise page loaded from cache may appear blank. The compression may look high but the data anyway is transferred on wire in compressed form. So the saving in compressed data on wire is not so much. Database and Object cache. I believe these can also be implemented. But after page cache, the benefit of these won’t be too much. Browser cache. This can also be done using apache settings. This does not take much time to implement and benefits are huge. Here is an example configuration which can be used as a starting point. CDN. It can be used if you have lot of static content like images etc. These will load much faster at user’s end if CDN is used.